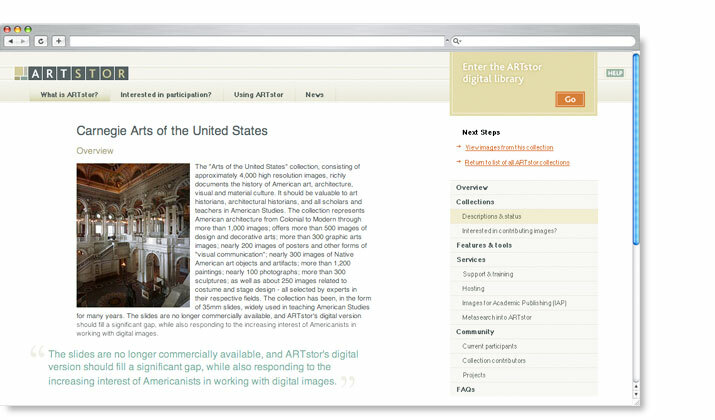 ARTstor is a digital library of approximately 700,000 images in the areas of art, architecture, the humanities, and social sciences. 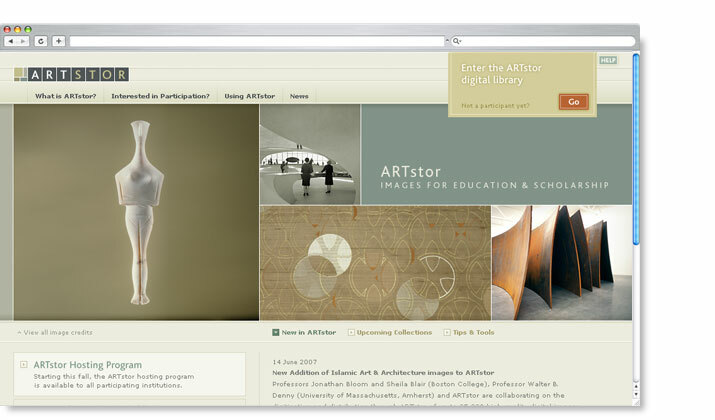 When ARTstor was ready to update their public site, they didn't want to abandon their aesthetically sophisticated brand, but they needed more. The end result is a thoughtful evolution of their brand, a site that works with their tools and applications, and a place where they can share much more information with their users.